If you can get your ball within just a few feet of the hole you have at least a 60% chance of getting it in, in one. 60% may seem low. I mean, what’s a few feet? It should be easy peezy, right? Wrong. More often than not the putt you need to make is not straight. You are either uphill or downhill from the hole, or there is a slight undulation in the green. The condition of the grass makes a difference: short, long, just mowed or with dry spots from too much sun? Is the surface still wet from the morning dew so the green plays “slow,” or are you playing in the mid-afternoon and the greens are playing “fast?” Where is the sun in the sky? Correct Putting Grip: When it is time to putt, you don’t want to use the same grip you’ve been using for the long power shots off the tee and fairway. 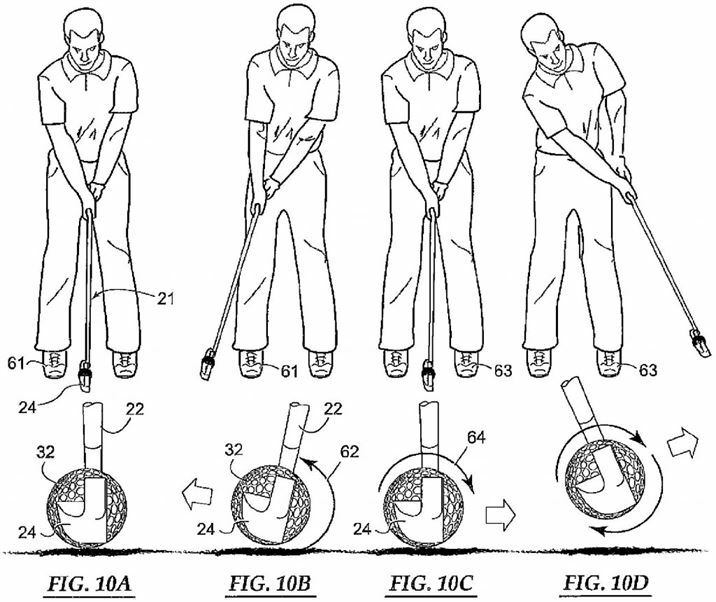 Putting requires a more delicate touch and less movement of the hand-wrist-arm element. There are many different grip styles. Watch the video just below, for a quick view of the traditional, left hand low, right hand low and claw grips. Whichever you prefer, you want your hands and club to be in synch with your arm, as if they were attached and working as a single unit. You don’t want your wrists to “flick” or try to lift the ball. A solid stroke, square to the ball is best. Correct Putting Stance: If you watch the pros on TV you will see a wide variety of putting methods. Some pros stand to the side of their putt, others stand a little further back than “normal” or have their feet almost touching. Once you’ve been playing for a while you might want to vary your own putting stance. But for the beginning golfer, taking the traditional stance is probably best to start. Once you are set up properly, you want to concentrate on making a smooth easy stroke. You want the stroke to be square to the ball. This first illustration shows the correct position of hands and arms to achieve a good putting stroke. The arms swing like a pendulum from the shoulders. There is no flick of the wrist or shoulder turn. One point of discussion might be how far back should you swing when putting? In the illustration above, the figure shows the back swing almost equal to the follow through. I’ve been taught by at least one instructor that a short backswing and longer follow through is best. I’m still working on that concept. You need to practice to find your own best swing stroke. This second illustration below, shows the correct relationship of the club head to the ball and the perfect club path during take away and follow through. You may find that slight variations to the “normal” putting stroke may help your game, and you might want to incorporate a few into your putting drills. Some players putt with their eyes closed and listen for the ball to drop. Annika Sorenstam kept her head down and did not follow the ball’s path as it left the club head. (See previous post and video.) You might find this helplful, especially if you consistently pull or push the ball off line. Here is a video of one putting drill you might try. What putting drills have you found helpful? Are You Playing with the Best Golf Ball for Your Game?